Your Calaveras Humane Society isn't just here to help homeless pets -- we also care very much about the ones who already have loving homes. If you struggle to afford pet food, our Pet Food Bank may help. The cost of pet food shouldn’t be an obstacle to someone keeping their beloved animal companion. Low-income Calaveras County residents who are struggling to afford to feed their pets may register to participate in our Pet Food Bank and pick up food once per month to supplement what they’re able to buy. The Pet Food Bank program is entirely supported by community donations. 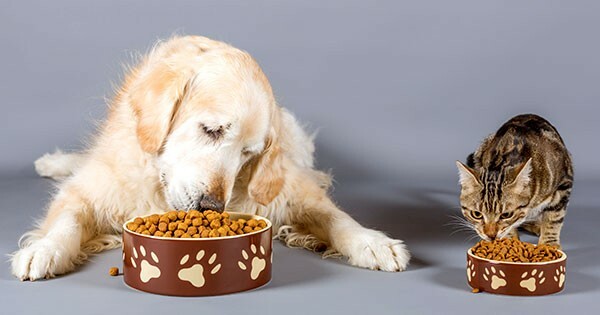 Food is available for up to three pets per household. Please note that we are unable to offer specific brands, formulas or flavors. Please download the application, fill out, and bring in during our regular business hours. You can also obtain a copy to complete at our shelter. A photo I.D. is required to register. Donations of unopened bags and cans of dog and cat food to support our Pet Food Bank are accepted anytime at our shelter. We rely on community support to operate this program and appreciate any and all contributions.